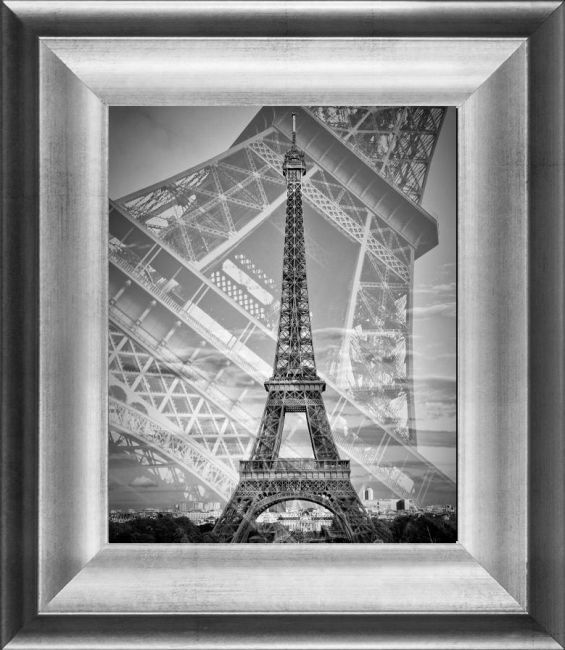 Small 8" X 10" Customary 16" X 20" Large 24" X 36" Extra Large 30" X 40" Need a different size? 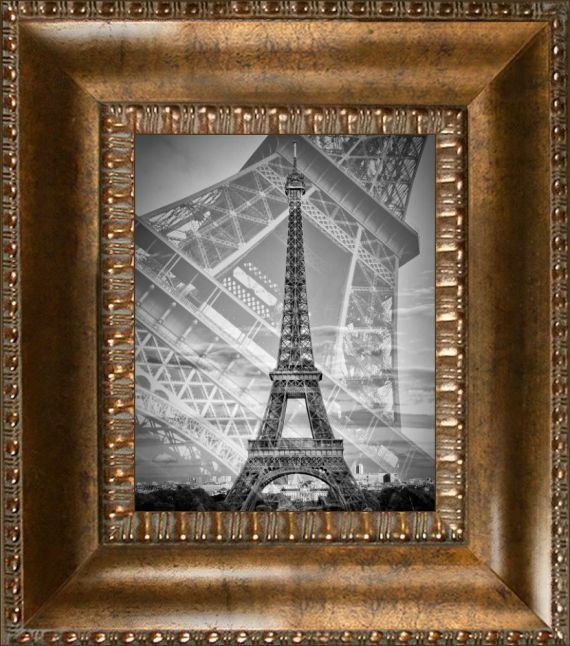 New Age Black Frame 8"X10"
Open Grain Mahogany 8" X 10"
El Dorado Gold Frame 8"X10"
Silver Oak Leaf Frame 8"X10"
The canvas print is 8 Inches wide and 10 Inches tall. 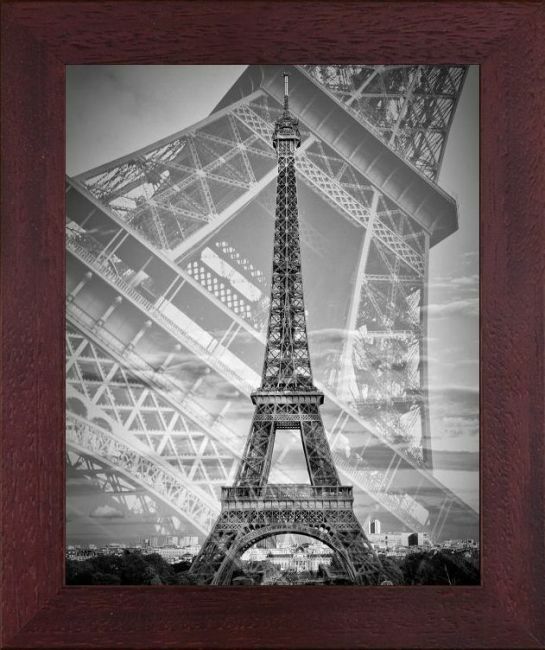 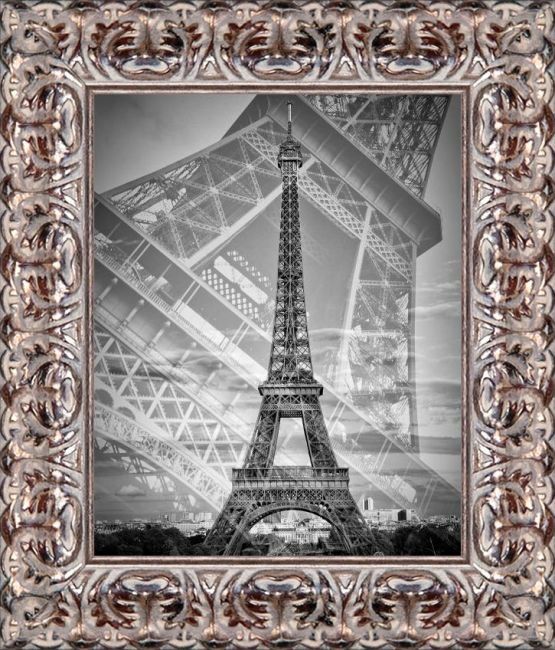 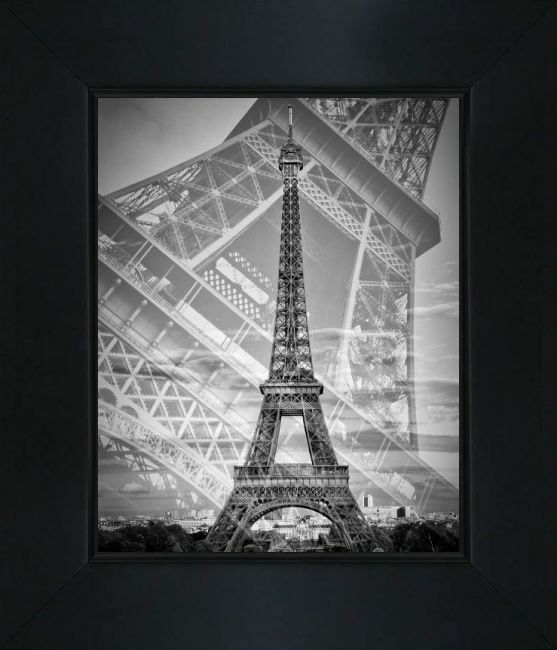 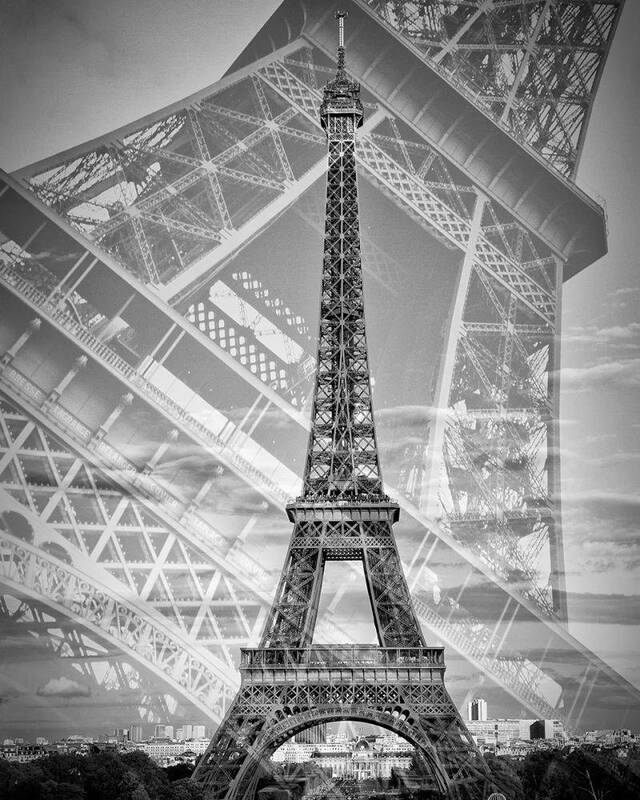 Print Size: Small 8" X 10"
Color Palette for Eiffel Tower Double Exposure II Monochrome is empty.